INSTALL A OWENS ROOF TODAY! INSTALL A OWENS ROOF TODAY! 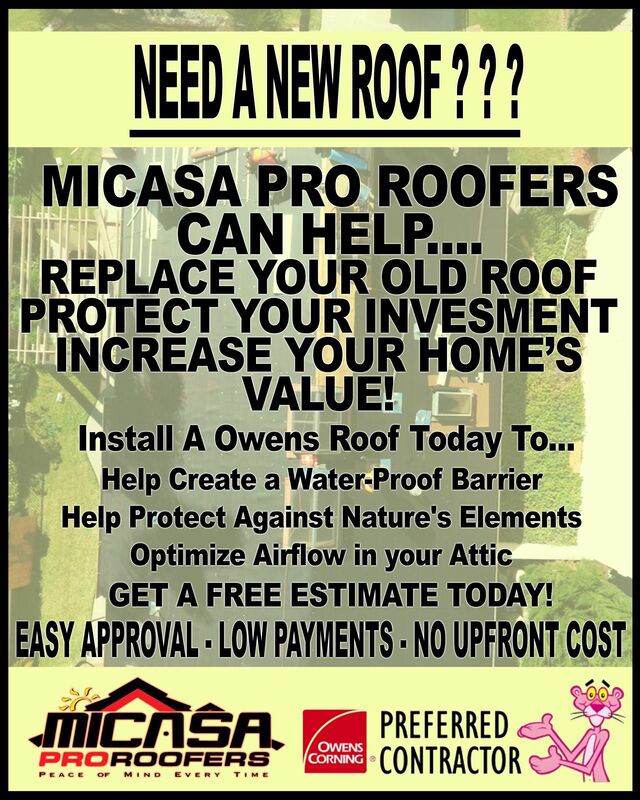 CALL MICASA PRO ROOFERS !